More on parsonage – RIDE OUT!! A bit of context: I’ve had some feedback about unhappiness within (some parts of) the congregation, which is sufficiently grounded that I’ve called an extraordinary PCC meeting to discuss it. Which, as you might imagine, has prompted much soul searching on my part (and underlies one or two recent entries here). I began down the road of self-justification with much resort to the nature of the job, particularly emphasising that the ‘George Herbert model’ is untenable, and that ‘Ministry as Partnership’ (what this Diocese calls ‘mutual ministry’ or ‘the ministry of all the baptised’) is the only way forward. And I’ve been keeping a log of the hours I’ve been working, and what I’ve been doing etc etc. My conscience is quiet, that I’m not ‘lazy’ or ‘uncaring’ or anything like that. But I had this distinct sense that I wasn’t getting to the heart of the matter. Although all these things were true, God was leading me a bit deeper. And what I am beginning to see is that there is a truth about the sort of person I am which needs to be brought out into the open and clarified – which is what I see now as the way forward at the PCC (in a couple of weeks). The real truth is that I am completely deaf in my left ear – have been since birth. Which, for most of my life, I was able to completely cover up. I have heard it said that deafness is the invisible handicap; when you meet someone with hearing difficulty it’s not immediately obvious that there is something missing. But it takes its toll. This only really began to break in upon me in my second year of curacy (2001), when after a particularly busy Easter I succumbed to labyrinthitis (on my vacation) and collapsed. The thing is that, as a result of only having 50% hearing, I find listening very draining. Which means that I have developed ways of being particularly economical with my ‘listening energy’. God being gracious in the way that he is, it has meant that, paradoxically, I’ve become a good listener. People realise that I am concentrating on them (in order to hear!! at least to begin with) and that sustained attention provides the safe context within which to explore the spiritual matters. So, through the handicap, God has given me the tools with which to develop a ministry of spiritual direction – which, deo gratia has already begun to bear fruit within the parish. So, pastorally speaking, I’m more of a surgeon than a general practitioner. I trust that God has space for such people within the divine economy. But it means that I put a limit on the amount of time I spend on “routine visiting”, ie knocking on doors and saying ‘how are you doing?’. I do a fair amount of going to see people, but normally in the context of occasional offices or some other ‘excuse’. The truth is that, if I have a free moment, I simply won’t choose to squeeze in another visit. I’m more likely to try and squeeze in an extra bit of reading, or simply sit in silence for a while. And I am really not sure that trying to change myself to overcome that (which I DID try in my last year of curacy, and ended up having to take a year off to recover from) is the Godly way forward. Is this a sin? Is this pastoral failure? Does this mean that I’m not supposed to be a parish priest – that I should head back to academia? I don’t believe so. I’ve been praying a fair deal about this recently, and no doubt I shall continue to do so, but I do believe that I am in the right place, and that I am doing the work that God has called me to do. But there is a definite sense of limitation. I’m not going to be the sort of priest that I thought I was going to be – that much of my training has told me I’m supposed to be. But I pray, and hope, and trust, that I’m still going to be the sort of priest that God is calling me to be. To be the person God is calling me to be – and thereby be, truly, the parson in this place. So where to go from here? Openness with the PCC that this is the situation. Continue to emphasise the ‘Ministry as Partnership’ process which I have started, because that reveals truths that are independent of the particular priest in charge of the parish. Try to ensure that Paul’s language about the Body is truly understood, and that the ministry is of the church, not of the priest. For I do believe that I bring some gifts to the table. The church is growing and, on the whole, I think morale is good. My teaching gifts are being employed, hopefully for good effect. But I suspect that there is something else. The brain is plastic – that is, it is adaptable. The problem with my hearing is that the nerve from ear drum to brain is dead, so no information is passed to the brain. This means that the bit of the brain which would be processing information for hearing is ‘freed up’. The adjoining region is that for sight; in particular, for pattern recognition. And the truth is that, having lost hearing, my abilities in pattern recognition have been enhanced. Put differently, I can gather a vast array of material and make sense of it. Think of the ability, when in a jungle, to put different bits of visual information together – this yellow patch with that glittering patch – to say ‘that’s a tiger’. I’m really very good at that. God takes away with one hand, and gives with another. I have difficulty hearing, but I have been given intelligence to compensate. When I was first tested on these things, for the 11+ exam, I literally went off the scale being used, as it only went up to an IQ of 140. I eventually ended up getting tested by Mensa, who told me that I had an IQ of 174. Which puts me in (I think) the top 0.01% of the population. Ultimately, of course, that in itself is meaningless. I like Simone Weil’s comment “the intelligent man who is proud of his intelligence is like the condemned man who is proud of his large cell.” It is absurd to be proud of anything we have received from God; all that matters is what we do with what we have received. It took me a long time to come out of my cage though. What is really on my heart, now, though, is this. In my first sermon as Rector of this benefice I told people that the tide was turning. That secularity and atheism had crested, and that the Spirit is moving. Christ promised that the Gates of Hell will not prevail against the church, and I trust in His promises. There are things which I can see – and which are at the heart of the book I’m trying – and generally failing – to write. But I can do no other than act on what I can see. I am thinking of Aragorn in the heart of the castle at Helm’s Deep. 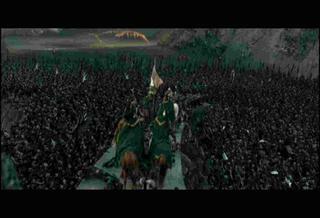 The Orcs have laid waste with their reckless hate, and Theoden is despairing. And Aragorn remembers a promise, and says ‘ride out with me’. And Theoden responds – better to die fighting for what you believe in than rooted out in despair – ‘for death and glory’,’for Rohan’. 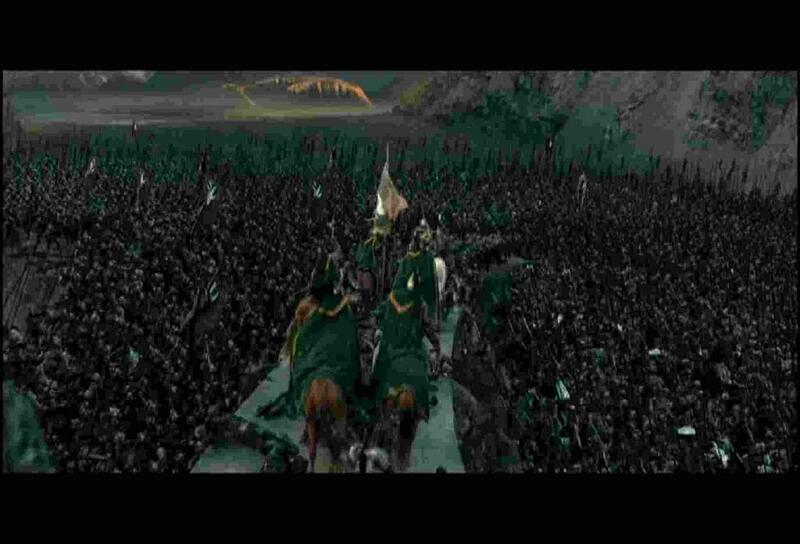 And so they ride out, and they are met by the resurrected one, and the Orcs are defeated. That is where we are in the Church of England. We have been besieged by the Orcs for too long. Let us draw swords together, and look to the rising of the Son. It is time to trust in the promises, and to ride out. This entry was posted in autobiography, mersea, ministry, spirituality by Elizaphanian. Bookmark the permalink.